The Hole (ホール) is an alley behind Sugar Hole, accessible by going through the bar's back door. The Handgun effect can be found in this area. The initial area is a straight street which leads to several places. 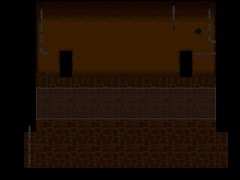 By going left from the entrance leading back to Sugar Hole, and using the Cat effect to go under the pipe that blocks the way between the two buildings, the player can arrive to the Passage (通路). There are two doorways behind the fence of the Passage, inaccessible from the side with the pipe. The left one leads to a section of the deadhole area. The right doorway connects to a blue section of the Orange Passage, which is the only way to access that side of the fence. 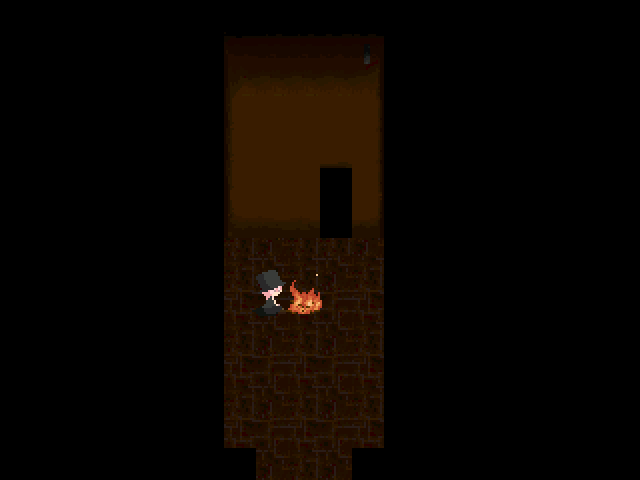 By continuing going right through the Passage, the player arrives at the Bonfire (焚き火) area, where Takibi-san resides. 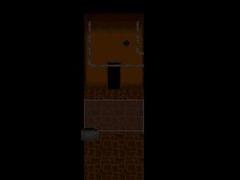 Going throught the doorway to the north will lead the player to another section of deadhole. The deadhole area is a dark place which seems to connect to the Hospital's Morgue, judging by the two openings through which a chain from the Morgue goes back and forth. When visited through the Bonfire area, there is nothing to do, as the path is blocked by a fence. If the player goes through the doorway behind the fence in the Passage, they will be able to explore the bottom of this area. When visited by Rust, an event featuring Oreko will happen. Oreko will slowly make her way through the bottom of deadhole and disappear. She will also disappear if the player interacts with her. Back in the Hole, by going to the right from the Sugar Hole's back door, the player will arrive at the wide passage that leads to the Town. 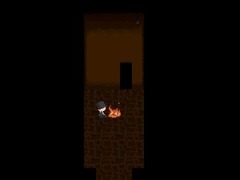 By navigating through it, the player can get to the Garbage (ゴミ) area of the Hole, where they can get the Handgun effect. A single Fetus will wander around this side of the fence if the area is visited by Rust. 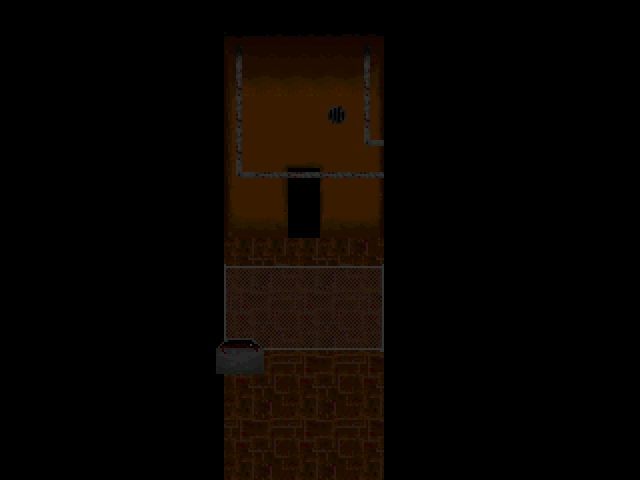 By going to the right from the passage that leads to the Town, the player will arrive to the doorway leading to the Hospital. By navigating through it, from a passage in the Morgue, the player can get to the other side of the fence in the Garbage area. The "deadhole" area is one of the few maps originally named in English. Prior to version 0.19, the dumpster with the Handgun effect was on the other side of the fence of the garbage area, accessible through the Morgue. The deadhole might be the place where the Hospital disposed of the children's dead bodies.